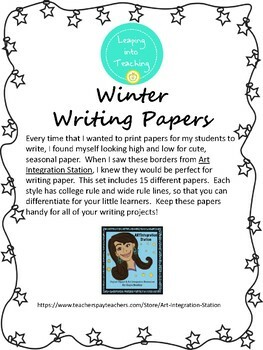 Every time that I wanted to print papers for my students to write, I found myself looking high and low for cute papers. When I saw these borders from Art Integration Station, I knew they would be perfect for writing paper. This set includes 15 different papers. 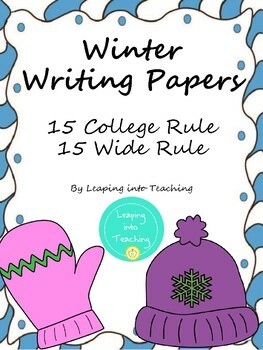 Each style has college rule and wide rule lines, so that you can differentiate for your little learners. 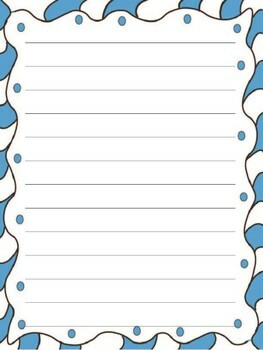 Keep these papers handy for all of your writing projects!